Carob is a large tree in the pea family that is native to the Mediterranean region. It is also known as St. John’s bread because St. John the Baptist reputedly survived in the wilderness by eating honey and carob bean pods. Dried carob pods taste like chocolate but are lower in sugar and lack the enzyme theobromine, which is toxic to some animals and an allergen to certain people. 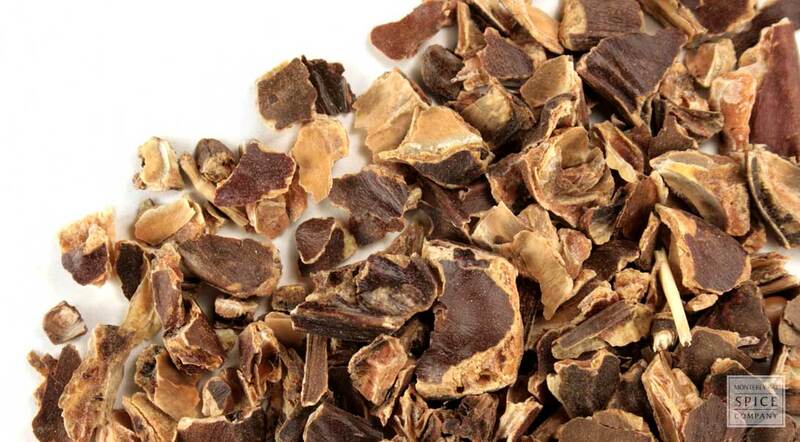 active compounds Carob contains alanine, alpha-aminopimelic-acid, amino acids, arginine, ash, aspartic acid, benzoic acid, butyric acid, capronic acid, carubin, catechin tannin, cellulose, ceratoniase, ceratose, chiro-inositol, concanavalin-A, fat, formic acid, fructose, D-galactose, gallic acid, beta-D1,6-DI-O-galloylglucose, beta-D-glucogallin, glucose, glutamic acid, glycine, gum, hemicellulose, histidine, hydroxyproline, invert sugars, isobutyric acid, isoleucine, leucine, leucodelphinidin, lignin, lysine, D-mannose, methionine, mucilage, myoinositol, pectin, pentosane, phenylalanine, pinitol, primverose, proline, protein, saccarose, saponin, serine, starch, sucrose, sugars, tannin, threonine, tocopherol, tyrosine, valine, water, xylose. The pods are rich in antioxidant polyphenols (19.2%), as is chocolate. why buy cut & sifted carob bean pods? Carob bean pods are a healthier option to chocolate. appearance & aroma Nibs are dark in color and smell like cocoa. decorative Add to dried botanical displays for textural interest. culinary Use whole in tea and coffee blends and in in baking (like chocolate chips). The pods can also be used to make syrups or ground into powder. 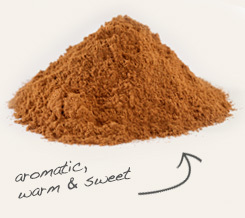 aromatic Add to simmering potpourri with other spices. industrial Yields carob gum, a thickener and stabilizer used in the food industry. The pods are also used in animal feed. 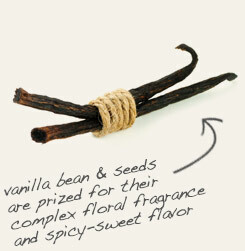 Pair carob pods and vanilla beans together to make syrups and infused alcoholic beverages. Combine carob and cinnamon powder in baked goods, puddings and other foods. Tastes like chocolate. Blends well with warm spices and many fruits. Carob earned the common names of St. John's bread and locust bean because of a passage in the Bible that describes John the Baptist as surviving on locusts [locust bean] and wild honey. Because the tree withstands drought conditions often encountered in its native regions, carob pods have long been considered a “famine food” during times of scarcity. Carob pods were eaten both fresh and dry and were seemingly a favorite food with the ancients: specimens were exhumed in Pompeii; ancient Egyptians extracted a honey-like liquid from the hull of the pod in which they preserved fruits; in Sicily, the pods have yielded a spirit and a syrup. The pods consist of a sweet pulp and a dozen or more small, brown seeds that were once used as weight measurements in the Mediterranean region. Today, we refer to these units as carats, which are used to measure diamonds and gold. Spanish missionaries introduced carob into Mexico and California. In 1854, seeds of this tree were distributed from the United States Patent Office and subsequently 8,000 seedlings were distributed around the US South. Many were later planted in Texas, Arizona, California and Florida as ornamental, shade trees. High in carbohydrates, carob has been used for its nutritional value for over centuries possibly millennia. Carob pods were the most important source of sugar before the spread of sugarcane and sugar beets. Dried carob fruit is traditionally eaten on the Jewish holiday of Tu Bishvat. Carob is naturally sweet and is similar to sweetened cocoa, but containing no caffeine, the obromine or other psychoactive substances. Unlike chocolate products, carob is non-toxic to dogs and is used in dog treats. Two distinct products are derived from its pod which is high in carbohydrate: carob bean gum and carob powder. Carob bean gum is made from the beans encased in the pod, used extensively in food manufacturing for binding. Carob powder, noted for its similarity to cocoa powder, is made by drying, roasting, and grinding the carob pod after the beans have been removed. The color and flavor of carob vary depending upon the roasting process—the longer carob is roasted, the darker its color and the blander its flavor. Solid carob, carob chips, and carob syrup are made from carob powder. Carob pod chips and powder are used for tea, added to tea formulas and to food and beverage recipes for flavor and nutrition. Often used as a substitute for chocolate or cocoa powder in cakes, cookies, and candy. To substitute carob powder for cocoa,: 1 ½ to 2 parts carob by weight. Carob, unlike cocoa, is naturally sweet. Carob chips are easily substituted for chocolate chips recipes, and carob powder is viable as a substitute for cocoa. Nutritional Breakdown: Carob pod is a reliable source of dietary carbohydrates and calcium, potassium, and riboflavin. The seed residue after gum extraction can be made into a starch- and sugar-free flour of 60% protein content.